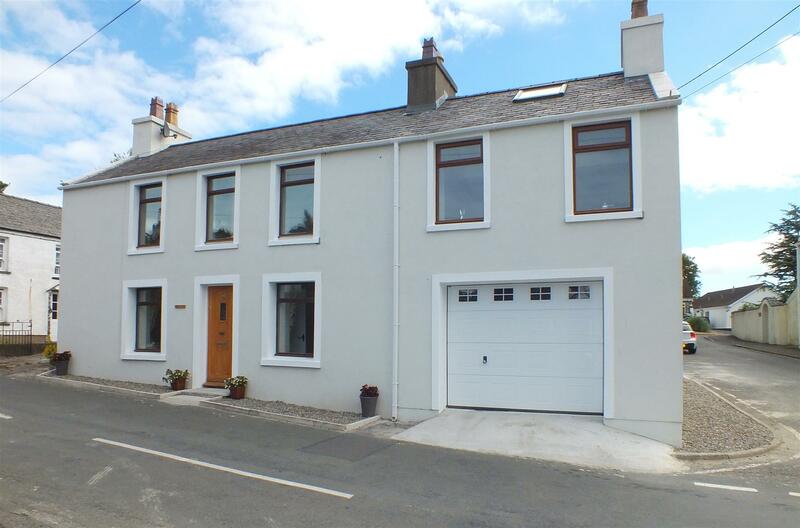 An Individual 4 Bed Detached & Extended Manx Cottage in a Pleasant Location. Less than 0.3 Miles from Spar Shop & The Colby Glen Pub. Glen Walks Close By. A Short Walk from Main Bus Route with School Bus En Route. Renovated by the Current Owners in Recent Years. Neutral Decor & New Carpets. 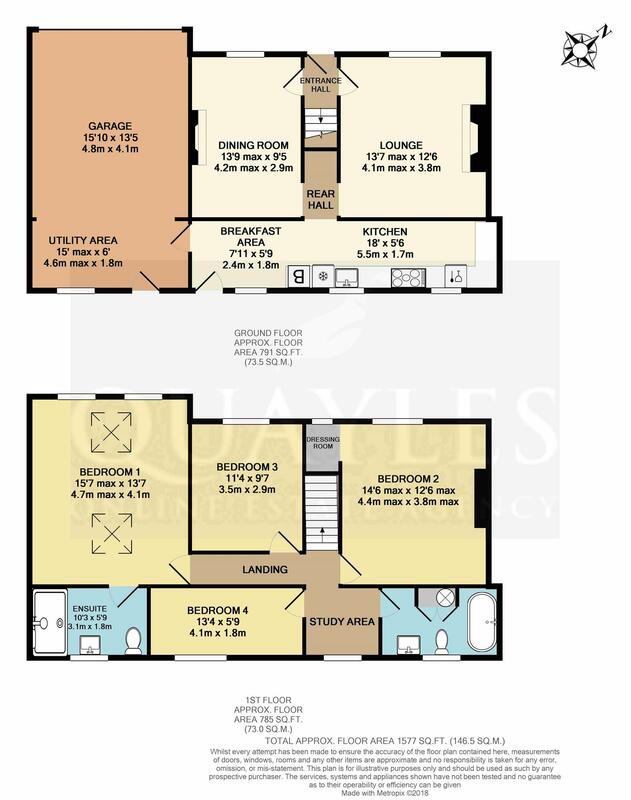 A Naturally Light & Spacious Property with Many Pleasing Features. 2 Reception Rooms, Kitchen/ Breakfast Room, Utility & Large Integral Garage. 4 Bedrooms (3 Doubles), Including a Superb Master Bed with En Suite Shower Room. Study/ Dressing Area & Family Bathroom with a Traditional Suite Including Roll Top Bath. Hardwood Double Glazing & Gas Fired Central Heating. Off Road Parking Bay for 2 Cars. Private Raised Lawn, Seating Area & Decked Area. From the airport head south passing through Castletown and turning off to Ballabeg and continue on to Colby. Upon reaching the Colby Glen Hotel and Spar travel along the A7 taking the third turning on the right onto the A27 Colby Glen Road and continue along for approx 0.2 miles where the property will be found on the corner of Costain Close with parking to the rear. A hardwood door with a leaded glass insert leads into the entrance area with quality 'Karndean' oak effect flooring which continues through the lounge and dining room. A central staircase leads up to the first floor. Telephone point. A naturally bright room with a deep set, hardwood double glazed window to the front. Manx stone 'Chiollagh' fireplace with a slate hearth. Arch to inner hall. A naturally bright and spacious room with a hardwood double glazed window to the front. A deep set hearth with an exposed lintel above provides the ideal location for a stove - existing not currently certified and will be disconnected. TV, telephone and multiple power points. Archway to the inner hall. Having a slate tile effect 'Karndean' flooring which continues through a further clear opening to the breakfast kitchen. Open understairs area with feature coat hooks. Exposed beams and two hardwood double glazed windows looking up to the rear garden. Fitted to one side with a good range of painted, wood fronted drawer and base units together with a solid wood block worksurface and inset Belfast sink with a mixer tap. Integrated fridge and dishwasher. 'Stoves' gas fired range style cooker with two ovens, grill, four burners and a Wok burner together with a tiled splashback and black canopy extractor. Ladder style radiator. 'Worcester' gas fired central heating boiler. Wall mounted cupboard housing the consumer unit. Clear opening to the breakfast area. Space to add a breakfast bar or small table and chairs. Tile effect floor covering. Hardwood double glazed window and matching part glazed door to the rear yard, garden and parking area. Attractive tongue and grove panelling. Door and step down to the utility area and integral garage. Having a part double glazed, hardwood door to the parking area along with a matching window providing natural light and ventilation. Space and plumbing for a sink and washing machine, space for a tumble dryer. Smoke detector. Concrete floor. Clear opening to the garage. A wider than average single garage with excellent conversion potential subject to planning permission. Having a panelled up and over door with a glazed top section for natural light. Multiple power points. Two florescent lights. Clear openings to the rear study/ rear landing area and inner hall. Smoke detector. A truly spacious room which could easily accommodate a 6ft bed and free standing furniture. Having a hardwood double glazed window to the front overlooking the neighbouring gardens. Clear opening to an additional small dressing room with an open fronted cupboard built in over the stairs and a hardwood double glazed window to the front. A versatile space located between bedroom 4 and the family bathroom. A hardwood double glazed window looks over the rear garden. A spacious room fitted with a classic white suite of pedestal basin and WC together with a double ended roll top bath set on a feature tiled plinth and having a mixer shower attachment. The remainder of the floor is tiled in a tumbled stone effect. Feature tongue and groove panelling behind the bath. Obscure double glazed hardwood window to the rear elevation. Built in airing cupboard, shelved to one side and housing a slim line pressurised hot water cylinder. 'Bright white' ceiling light. Chrome ladder style radiator/ towel warmer. A large single room with a hardwood double glazed window to the rear. Ample space for free standing furniture. A double room with a hardwood double glazed window to the front enjoying a pleasant rural outlook over the neighbouring garden. A superb addition to the property completed in 2018. Having a high angled ceiling with feature beams, inset directional lighting, two velux windows and two hardwood double glazed windows to the front. Ample space for a 6ft bed and extensive bedroom furniture. Lighting controls on either side of the bed in addition to the main switch. Smoke detector. Door to the en suite shower room. Fitted with a classic suite of WC and pedestal basin together with a step in enclosure with a glass screen, overhead drench shower, tiled surround and low profile base. Tiled floor. Electric towel warmer/ radiator. 'Envirovent' extractor. 'Bright white' light and LED downlights. To the side of the property is a two car parking bay with bulk storage gas bottles set on a slabbed hard standing Clear opening to the rear yard with concrete steps leading up to the rear garden. Laid to lawn with a raised seating area to the rear and a further deck to the other side, which enjoys all day sunshine. Fenced for privacy and shelter. Mature shrubs and rose bushes to the border. Large productive apple tree producing cooking apples which are reputed to be good for cider making too!. Mains electricity, water & drainage. Gas fired central heating served by bulk storage bottles.